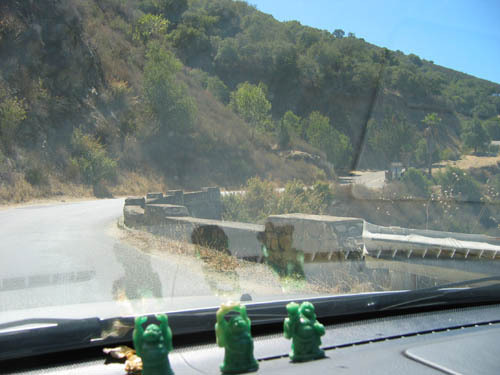 The Road Where Richard Fariña Died? As all the world knows, Richard and Mimi attended an autograph party on April 30, 1966, at Thunderbird Bookstore in Carmel Valley, then went to the home of Mimi's sister, Pauline, for a surprise party for Mimi's 21st birthday. At this party Pauline's friend, Willie Hinds, pulled up on a Harley. 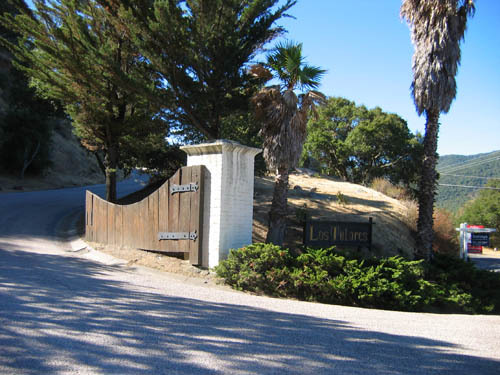 Hinds took Richard for a ride on the bike on the rolling hills of Carmel, and they wiped out, throwing Richard across two fences and into an embankment. Hinds survived; Richard was killed instantly. 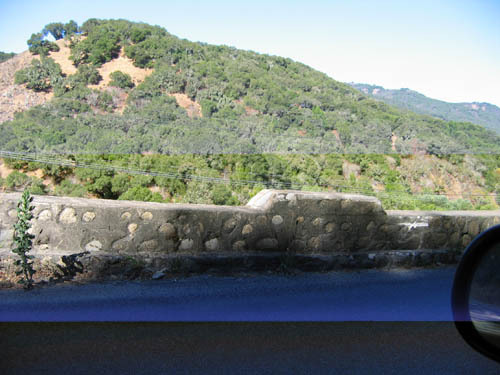 In August 2007 I visited Carmel Valley and decided to see if I could find the place where Richard died. I set my odometer to zero as I left the town of Carmel Valley Village, heading east toward Cachagua. As I drove this mile, I looked for fences and walls that could possibly be the accident site. About 1 mile from town I saw a dangerous curve and it seemed to be the only logical place that this accident could have happened. Also, I searched for the Thunderbird Bookstore. It's no longer there ... but remember visiting it several years ago. I had to take this photo through my windshield while driving ... there was no place to stop. 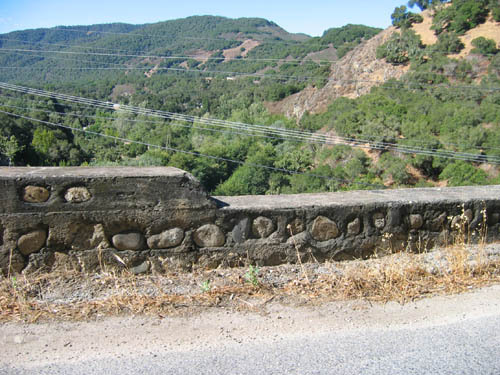 This is the approach of where the wall starts as I headed east on Carmel Valley Road. 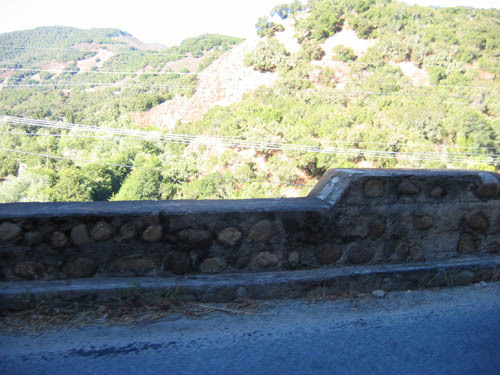 This road is very close to the wall. 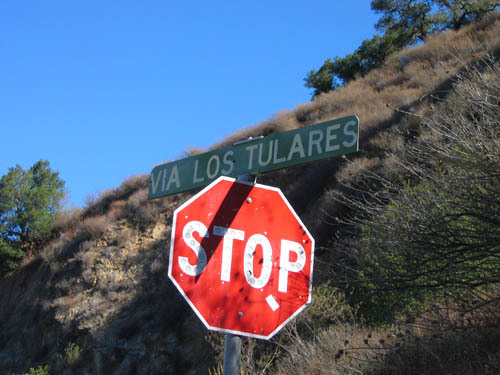 Is it a coincidence that it's called Tulares? A play on the word "Tuileries?" 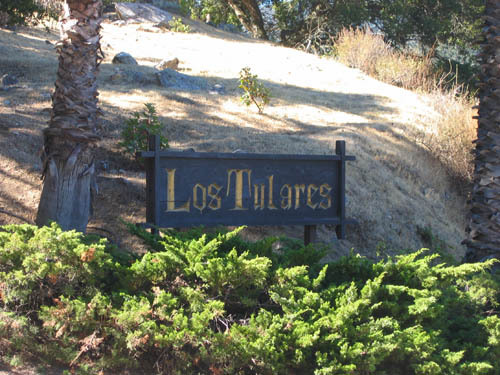 And it looks like there is a development of some kind called "Tulares." This entrance is close to the stop sign (above). 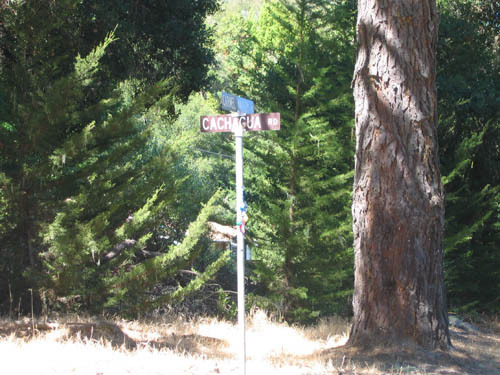 I drove out to the intersection of Cachagua and Carmel Valley Road.